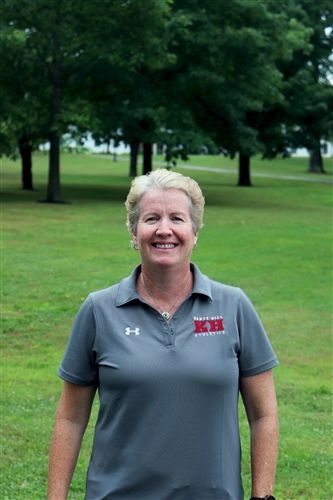 Kents Hill School is delighted to welcome Nan Hambrose, former NCAA Division I coach and accomplished athlete, as Director of Athletics. Nan most recently served as Director of Athletics at Chatham Hall, an all-girls college-preparatory boarding school in Virginia. She spent 15 years as an NCAA women's basketball coach at St. Mary’s College of Maryland, Seton Hall University, Loyola University Chicago, and Wagner College. Prior leadership positions include Director of Athletics as Glenelg Country School in Maryland and Executive Director of Baltimore Board for Officials for Women's Sports. She holds a B.A. from Rowan University and M.S. from Northeastern University in Sports Leadership. "We are thrilled to welcome Nan to Kents Hill School as Director of Athletics," said Head of School Christopher S. Cheney. "With extensive coaching and playing experience, she is well positioned to continue Kents Hill's tradition of excellence. More importantly, however, she is committed to developing young athletes through a focus on values, character, and reflection - elements integral to our innovative 4D student experience. Nan also joins an exceptional group of women on our Senior Leadership Team. If we wish to develop future leaders who will change the world, we must hire and promote the type of role models, mentors, and coaches that they need."